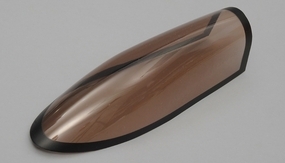 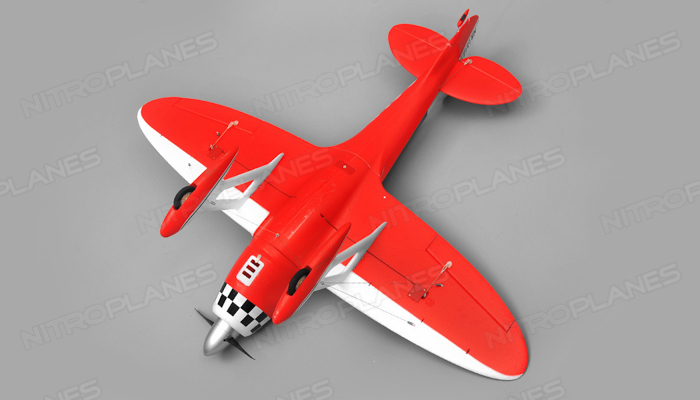 The GeeBee is famous for its teardrop-shaped fuselage, short broad wings, and exquisite craftsmanship. 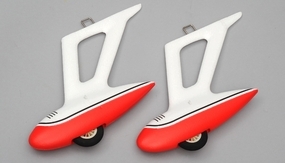 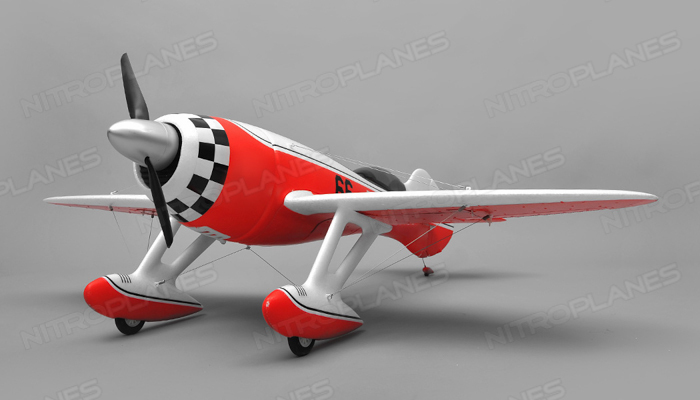 They are a famous series of planes built around the 1930�s. 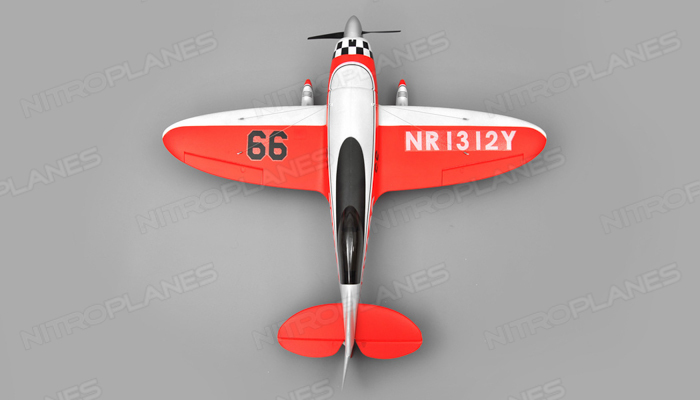 GeeBees were some of the fastest planes in production during that era. 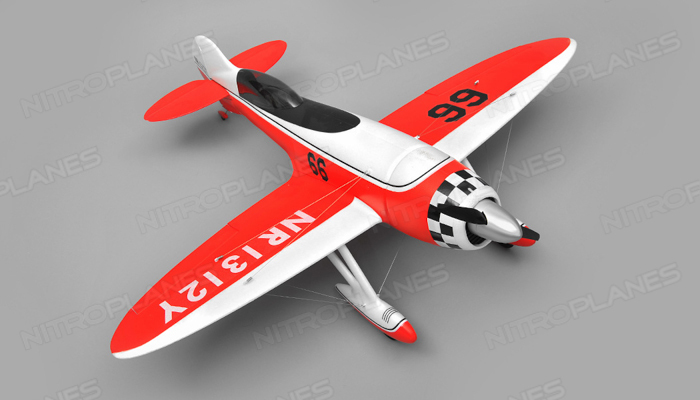 There is a lot of controversy surrounding these planes and their bizarre design. 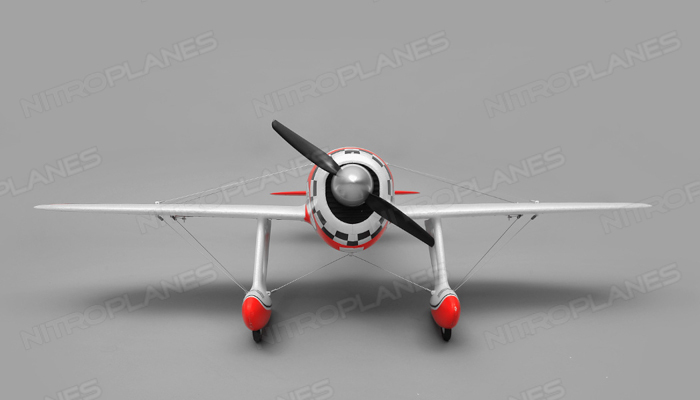 Some even labeled them �killer planes� or �the most dangerous planes ever built.� However skeptics admire their engineering and claim they were just too aerodynamically advanced for the pilots of the time. 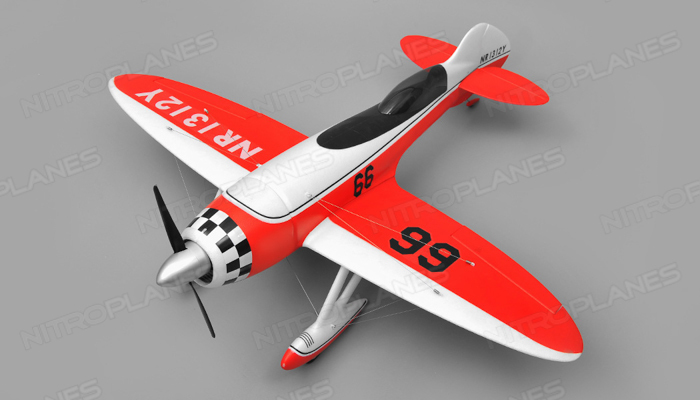 Admirers labeled these planes as remarkable aircrafts that contributed to the technical advancements of aviation history. 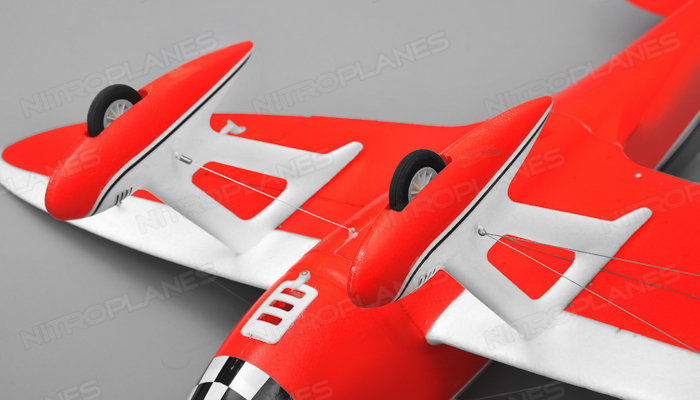 Whatever the case, after 60 years since its heyday, The GeeBee will remain as a unique plane and hold its place in aviation history. 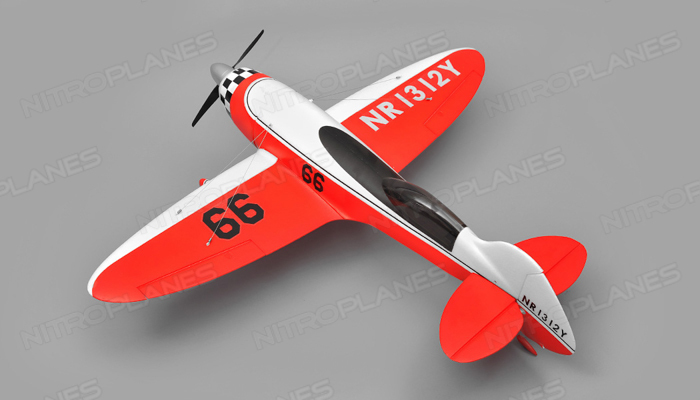 This Airfield GeeBee is a beautiful representation of the scale model. 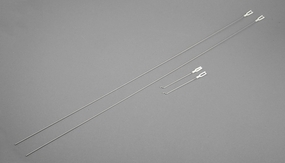 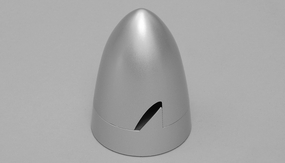 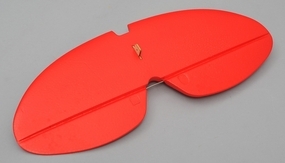 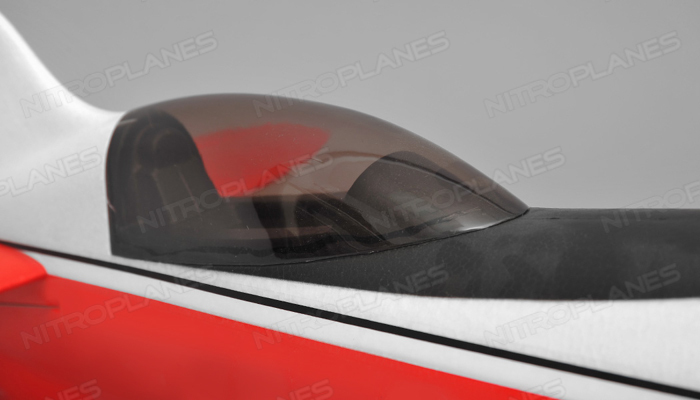 The airframe is constructed of quality EPO foam. 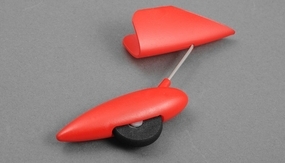 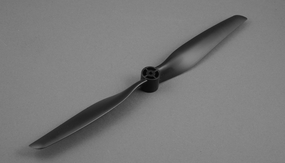 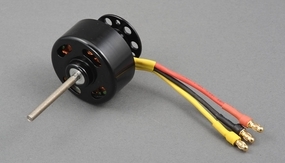 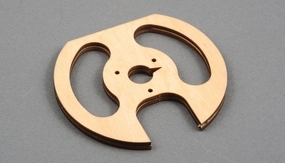 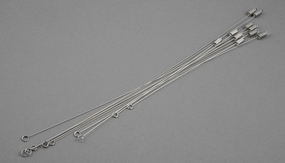 The wings are reinforced with a spar to add rigidity and prevent flex. 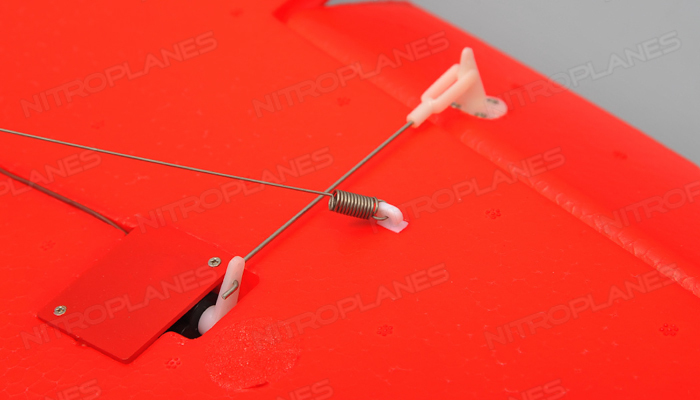 The canopy is latched on to allow easy access to the electronics and allows for quick battery changes. 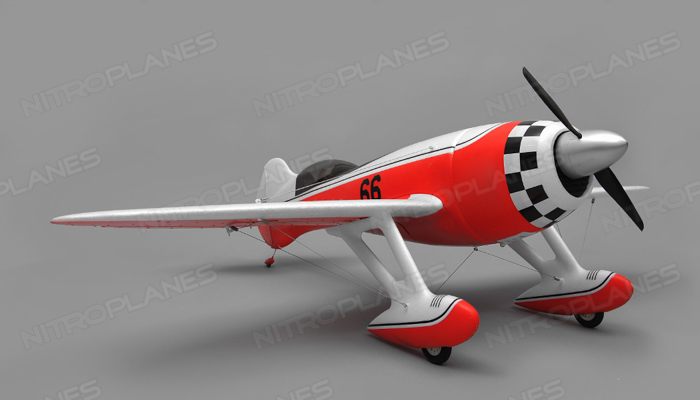 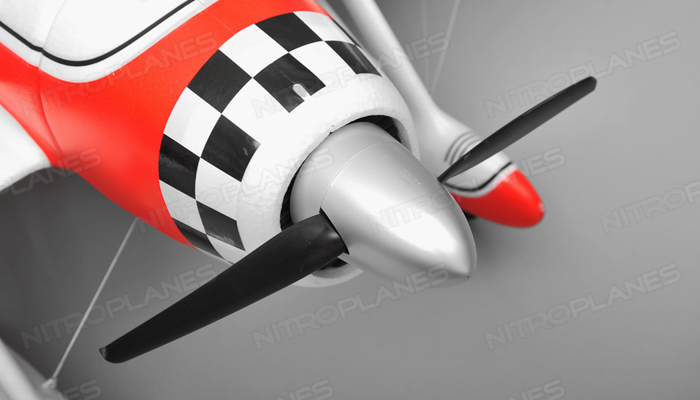 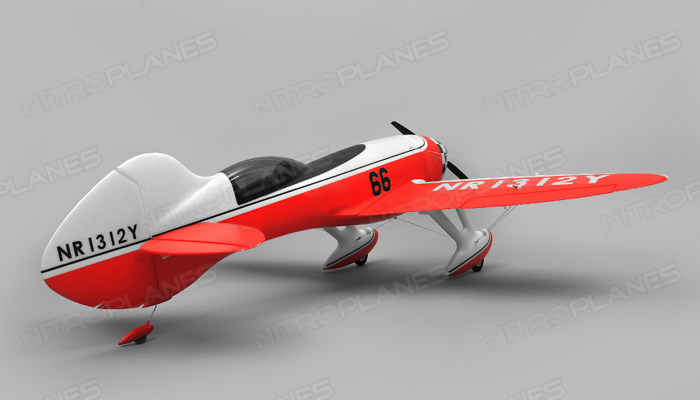 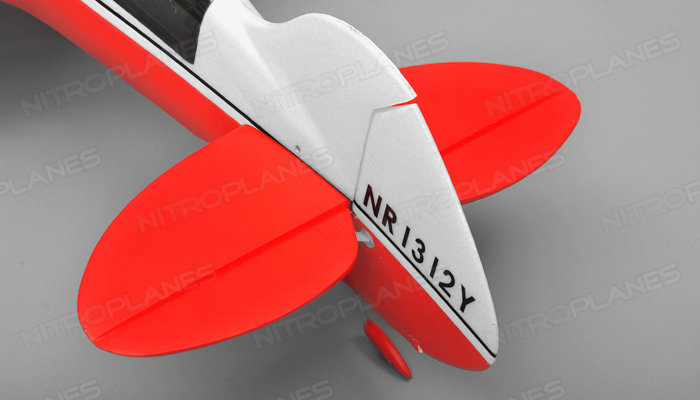 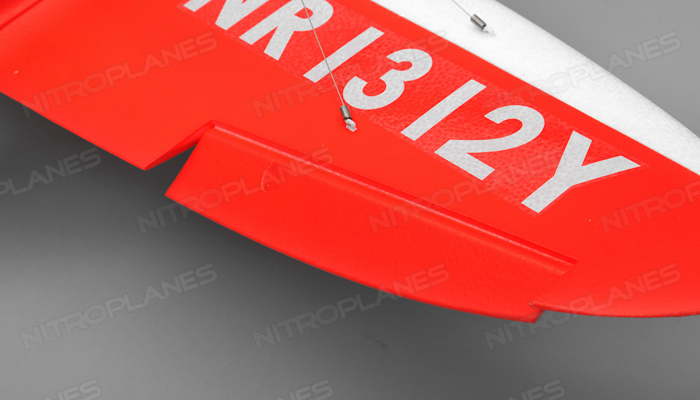 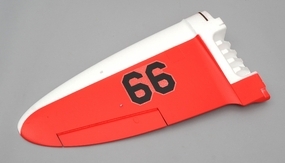 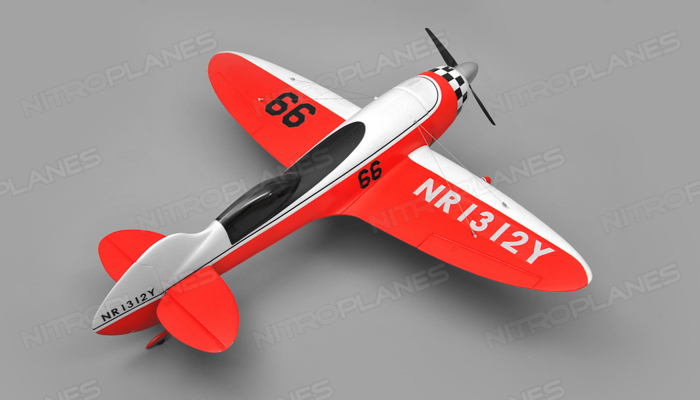 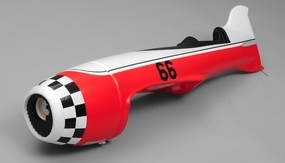 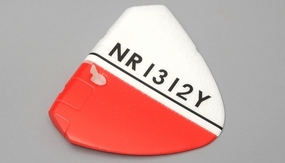 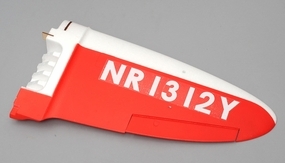 The plane is finished in a red and white paint scheme with a checkered cowl to give that beautiful racing finish. Build a piece of great aviation history and relive the remarkable and unique engineering of the GeeBee series of aircrafts. 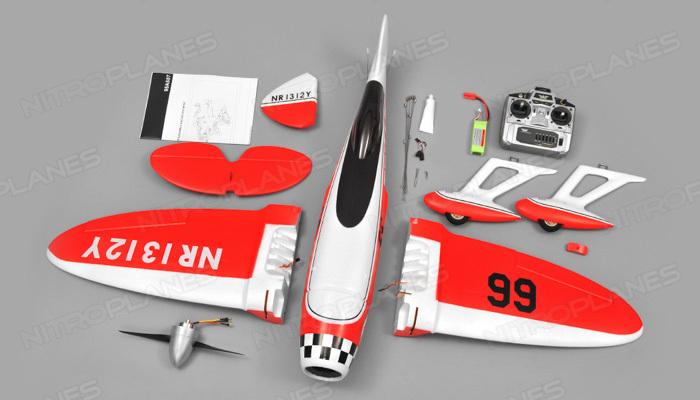 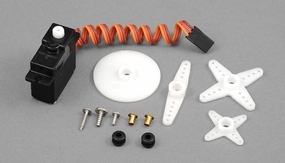 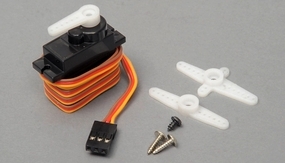 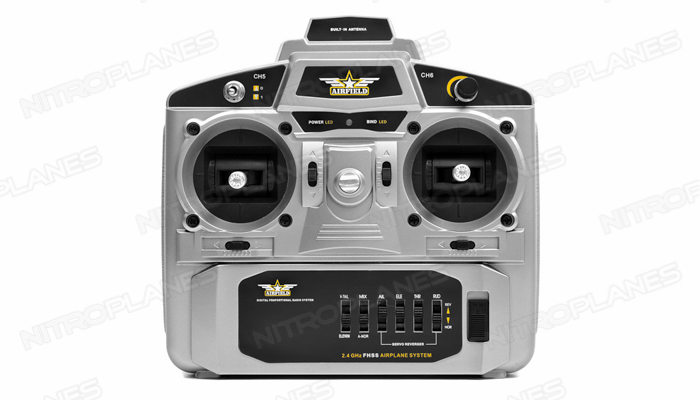 The Airfield GeeBee ready to fly version comes with all the electronics you need to fly this awesome machine.